The Most Profit Raised award was presented by Geoff Summers, Chairman of Rossendale Hospice and went to Haslingden High who raised £3,022 with various activities including a non-uniform day. Fearns scooped two awards; Most Money Raised Per Pupil and Greatest Community Involvement. 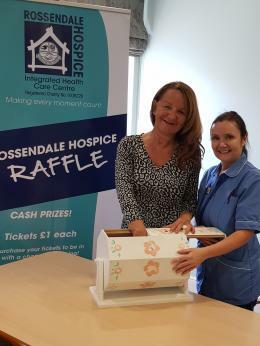 The pupils raised £9.81 each, totalling an impressive £2,875 and was presented by Clare Richards, Rossendale Hospice’s Head of Fundraising. By involving the whole school, family and friends in a fund-raising sponsored walk and organising a football tournament which Burnley football club supported, they won the Greatest Community Involvement category, presented by Ann Kenyon, Mayor of Rossendale. The Most Innovative Idea was awarded to All Saints with an entertaining Sumo wrestling event with their teachers, and a table tennis competition. It was presented by Stephen Greenhalgh Managing Director of JJO. The judges were very impressed by Whitworth High School’s business-like presentation which included profit and loss margins and comprehensive business plan. This earned them the Best Presentation and Reporting award which was presented by Jill Murray, Head of Marketing at Cassons, part of the Baldwins Group. 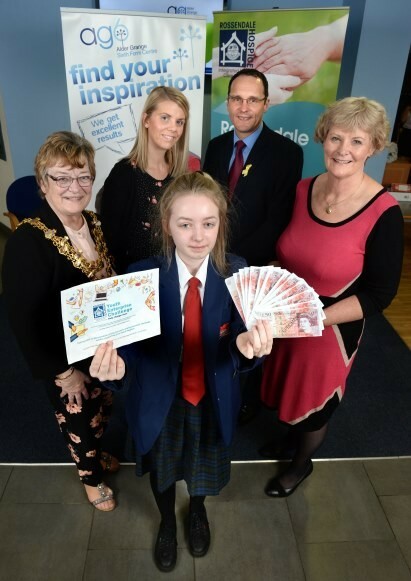 Alder Grange pupil Ruby Bryant took the Special Recognition Award as the judges could see she had put exceptional effort into organising an Open Mic Night at the Blind Tiger music venue. This award was presented by Les Nutter, Chair of the Hospice’s Corporate Ambassadors Group and Managing Partner of Cassons, part of the Baldwins Group. An inspirational photobooth idea by Tor View School helped them win the Fundraisers Praise Award. This is a new category and the pupils also created their own props. 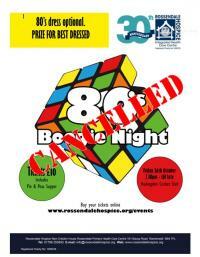 It was presented by Joanna Williams, fundraiser at Rossendale Hospice. The judges were: Geoff Summers, Chairman of Rossendale Hospice, Ann Kenyon, Mayor of Rossendale, Stephen Greenhalgh, Managing Director of JJO and Jill Murray, Head of Marketing at Cassons, part of the Baldwins Group.